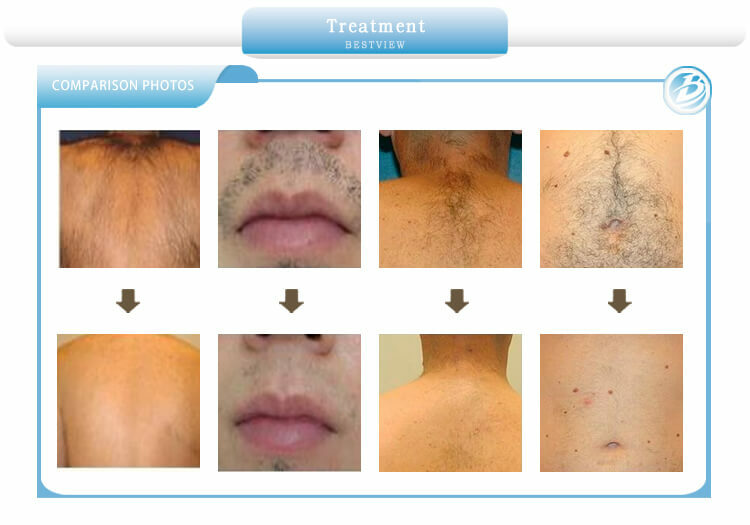 l Hair removal in bikini, underarms, lips, etc. 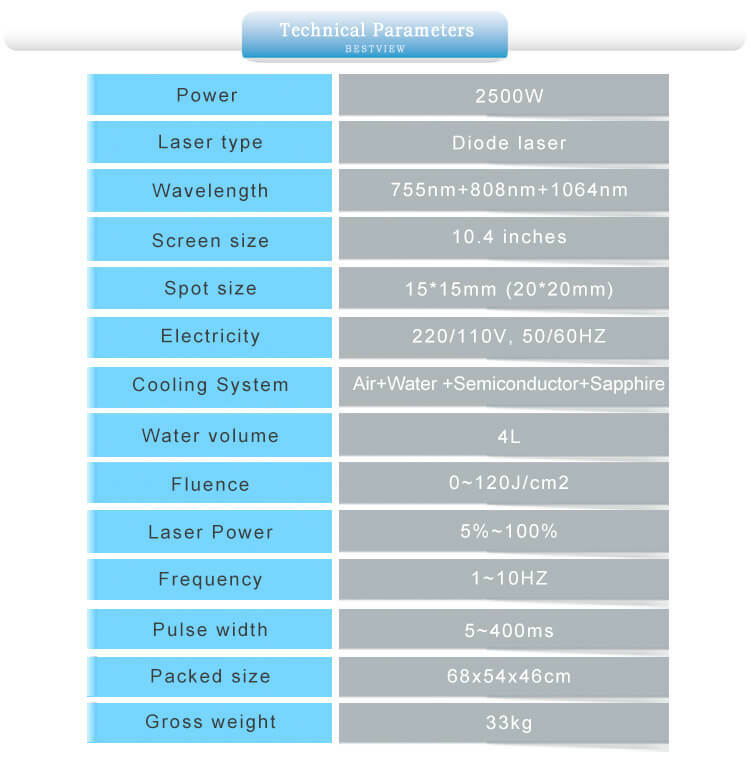 1, The portable design is more economical for you. 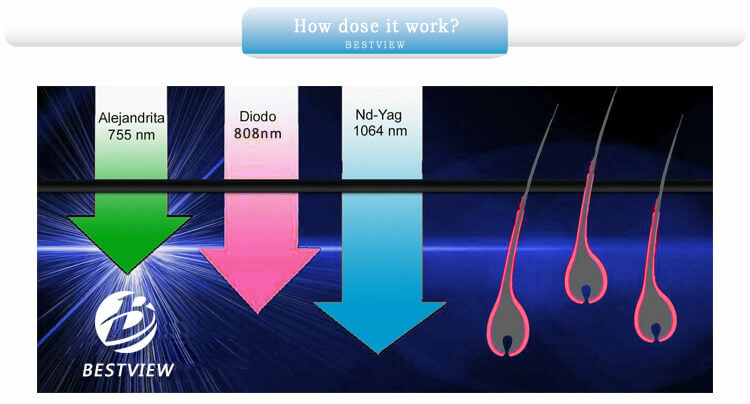 2, The best laser wavelength: 808NM, 755NM, 1064NM. 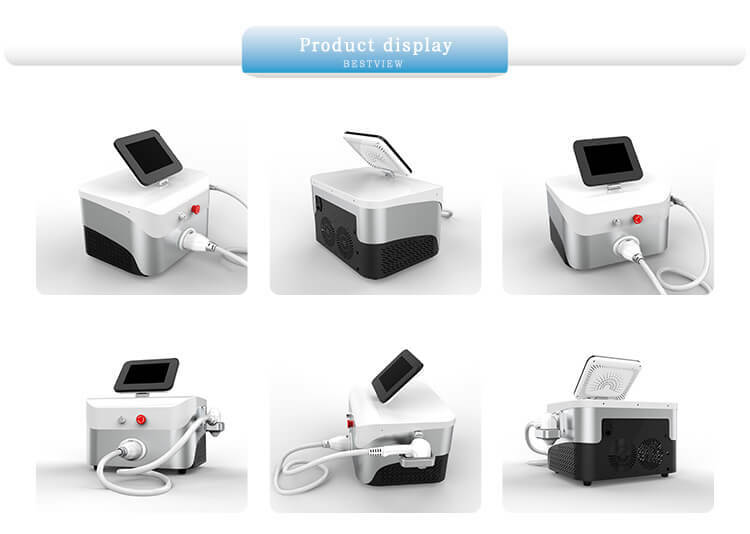 3, The light pulse time is too long to adjust, protect the skin and remove hair of different thickness. 4, The specially designed skin adjustment function can soften the skin at the same time it removes hair. 5, Safe. The safety of cooling patent technology by cooling contact does not damage the skin five, the large square dot, quickly removes hair, speeds up the treatment. 6, Comfortable, fast and convenient. 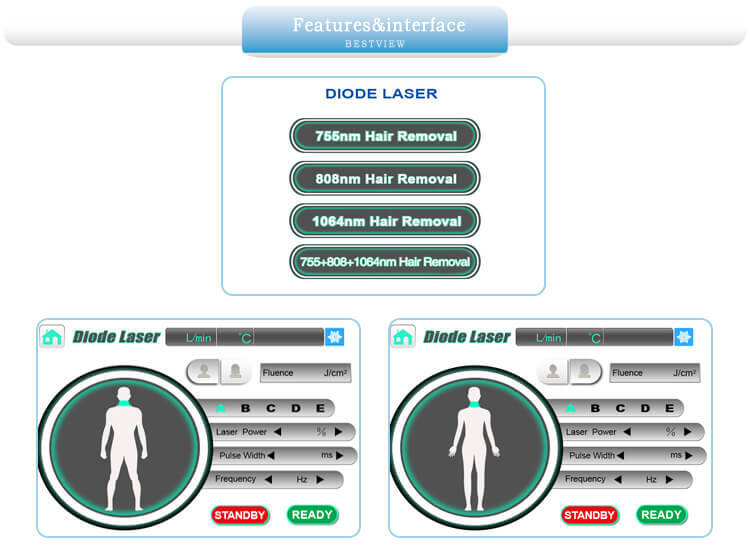 The original mode of the freezing point laser can emit 10 laser pulses per second, and the pulse mode is unique, completely beyond the traditional laser pulse, the treatment process can not only slip quickly, but also, on the other hand, It indicates that the hair follicle is effective, especially for the hair removal of large surface turtles. 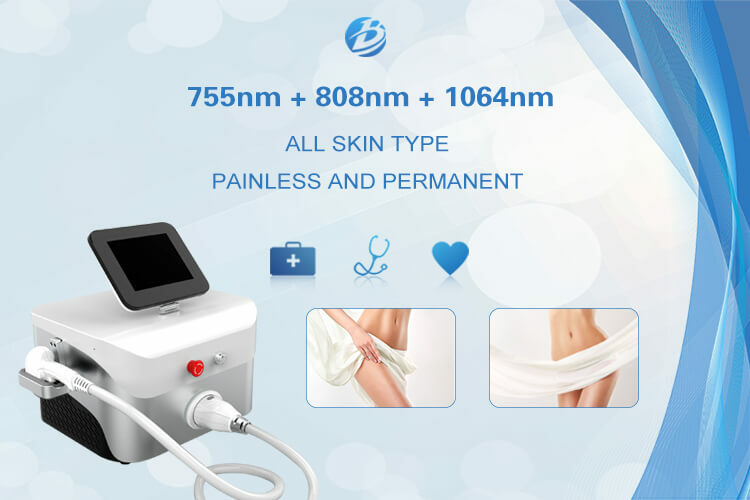 7, Professional 808nm 755nm 1064nm laser hair removal machine also provided.